There’s nothing “mini” about this brand, but their name hearkens back to their roots as one of the best manufacturers of vape mod chipsets. SXmini built their reputation from the inside out, and this shows on the devices we proudly stock at VaporFi. From rugged camo to sleek metallic red, their vape mods are not only a feat of engineering but also head-turners as well. With SXmini’s newest devices, they’ve elevated the vaping game, and above that of other electronics’ industries with features you might expect to find on a mod from the future. Shop our selection of beautifully crafted, technologically advanced products from SXmini at VaporFi - and be the envy of vapers and tech geeks alike! Established in 2010, SXmini was launched under the Dongguan Yihi Electronic Co., Ltd. name at a pivotal time in the evolution of vaping. The popularity of mechanical mods was fading as advancements were made to the blossoming box mod scene - offering vapers control over their vape in a way never seen before. SXmini was at the center of this explosion with their YiHi chipsets that created a solid foundation for a plethora of box mods from various vape manufacturers. This cemented their reputation as a master of reliable chip production. Building their brand from the inside out, SXmini took a unique approach compared to some of the other companies on the market. Their commitment to craftsmanship and engineering prowess resulted in the SXPure Technology found in their full lineup of chipsets today. This technology has received praise from new and old vapers alike for sheer power and quality. The products available from SXmini at VaporFi represent the best of the best, not only from the brand but also from the vape industry as a whole. Units like the G Class provide a luxuriously advanced experience, with features you’d expect to find in a cellphone, while still cranking out 200W of delicious vapor. An easy to use joystick allows you to navigate the menus intuitively, while a beautifully inset OLED screen enables you to cycle backgrounds for limitless personalization. The Q Mini offers a more compact form factor while still maintaining that 200W output, and the 450J-BT chipset found inside has unique power taste modes that produce a more significant e-juice flavor duration at your whim. Shop SXmini from VaporFi today, and join the ranks of vapers who trust us with providing their entire vape collection of pens, mods, and tanks. We know you'll be impressed with the level of technological prowess on display from SXmini, but we still back everything with our VaporFi promise. 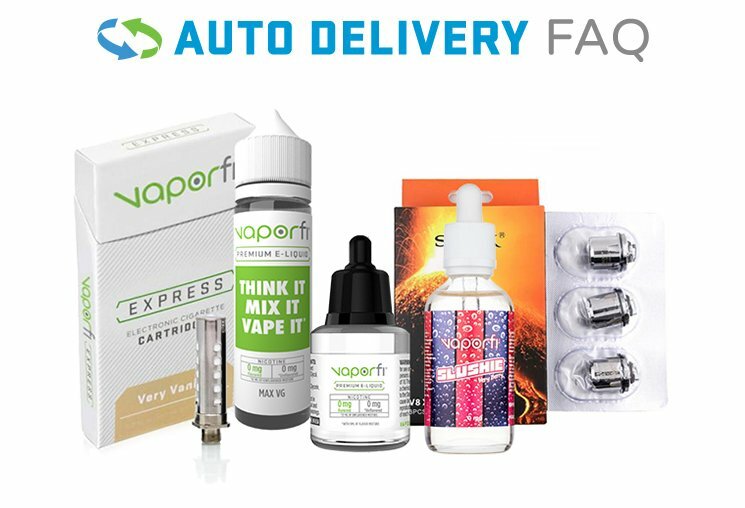 We have the best vape deals and are always available to answer questions - before, during or after your purchase - so check out all we have to offer today!